Chief Wilbert Kochon says the new conservation plan will allow community leaders to control who hunts caribou and give the community the tools it needs to maintain the herd. People in Colville Lake, N.W.T., are drawing on traditional knowledge and Dene law as they draft a caribou conservation and management plan for their community. Chief Wilbert Kochon says the new plan, called Dela Got'ine Ehde Ah'ah 2019, will allow community leaders to control who hunts caribou and give the community the tools it needs to maintain the herd. "We want to use [elders'] laws for the caribou to respect the caribou, the land and the water. It all comes together," he said. "Like in the past, people will come to [us] and ask whether they can come on our land," he said. "We're going to tell them the rules." The new plan still has to go through more reviews with the territory's Department of Environment and Natural Resources (ENR) and the Sahtu Renewable Resources Board, Kochon says, but parts of a draft have been posted in the band office in Colville Lake. In simplest terms, it's about sustainable hunting, Kochon explained. "Just shoot what you need. Don't go out there and start shooting as much as you think there is," he said. "You don't need a whole bunch, just two or three and that's it. You have enough fresh food. "The way the elders told us, don't shoot too much, that way you always have fresh meat," he said. Only people from the Sahtu region with treaty status or who are beneficiaries of the Sahtu land claim agreement would be allowed to harvest caribou for their personal or family use in the area around Colville Lake, according to the draft plan. Eligible hunters would have to first get permission from the Colville Lake Renewable Resources Council before the hunt. They will also have to abide by traditional Dene harvesting practices about respecting the caribou during hunting and after it is harvested, the draft states. Officers with ENR and the Colville Lake Renewable Resources Council would have the authority to ask hunters to show proof they've received that authority. The community's justice council would be able to punish hunters who violate the rules. Colville Lake, which is working toward self-government, would be the second community in the Northwest Territories to develop its own community caribou conservation plan. Deline was the first, passing its Caribou for All Time action plan in 2016. 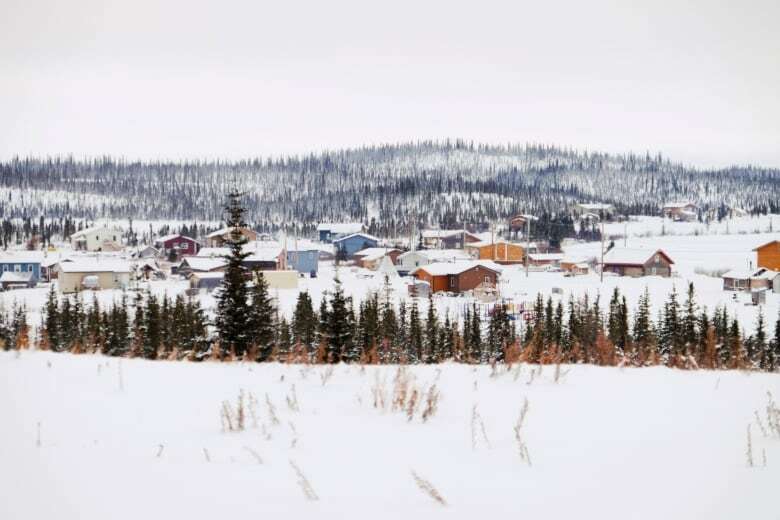 About 140 people live in Colville Lake, which sits inside the annual range area of the Bluenose-West caribou herd, according to the N.W.T. 's Environment and Natural Resources Department. That herd declined rapidly between 2000 and 2005 from about 118,000 down to 26,000 caribou. It's remained relatively stable since then, with more recent government estimates putting the herd at 21,000 animals. But the government's numbers suggest the Bluenose-East and Bathurst caribou herds continue to be in decline, with those herds losing at least half of their populations in the last three years. Until the Sahtu Renewable Resources Board approves the new plan for Colville Lake, the Department of Environment and Natural Resource's caribou hunting regulations are still in effect. No one from the department was available for an interview as of publishing time.